Only eight weeks ago skip, Minji Kim, was victim of nerves as she succumbed to a loss in Omaha's leg two final but here in Jonkoping, the young skip delivered a composed performance beyond her years. 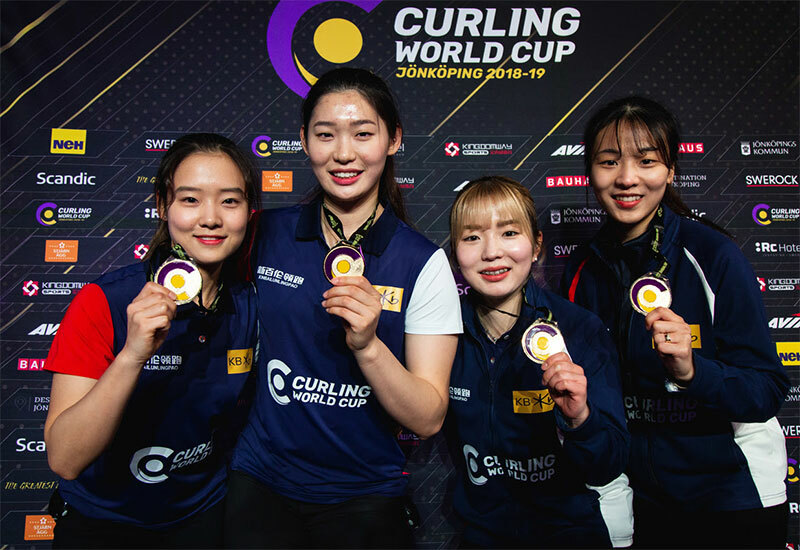 The Pacific-Asia champions skip, Minji Kim, along with teammates third Taei Yang, second Hyerin Kim and lead Sujin Kim ran the Swedes out of stones in the eighth end to capture the title. "I am very happy. In Omaha the loss was hard so since then we have worked hard. We will practice very hard for the Grand Final in Beijing. The Koreans picked up a prize purse of $USD 20,000 (along with $USD 7,500 in round-robin earnings) and sealed their place in the Beijing Grand Final. Kim led 4-1 after three ends, due to an angle-raise for two points in the third end to gain momentum. Things improved for the Olympic champions after the fourth-end break, picking up one in the fourth end and a steal in the fifth end. But, in the eighth end, Kim executed a double take-out to win 6-4. Hasselborg said: "They really, really played a great game. I think they had the upper hand on the ice reading today and we had some big swings. Just a little on the wrong side of the ice today. "This week has been great and I think Sweden really showed we can put on a good show and I hope we will bring some great events here in the future. I'm very proud of home country for putting this together. Team Hasselborg will pick up a runners-up cheque for $USD 10,000 (as well $7,500 in round-robin winnings) and bring their overall three-leg total to $USD 39,500.